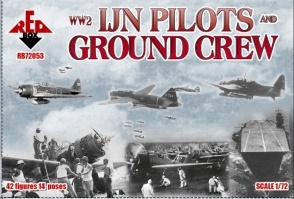 RB72053 WW2 IJN pilots and ground crew. 42 unpainted plastic figures. 14 different Poses. Material Plastic.